The Hotel Danieli is one of the best-known five-star hotels in Venice, but it was built as the Palazzo Dandolo at the end of the 14th century by the Dandolo family. It stands on the waterfront and is in a picturesque setting, with gondolas constantly waiting on the shoreline immediately to the fore of the hotel. But few tourists who pass its doors know its story or what is to be found inside. The palazzo was first built at the end of the 14th century by the Dandolo family. In the 16th century it was divided into three for three different branches of this noble Venetian family. 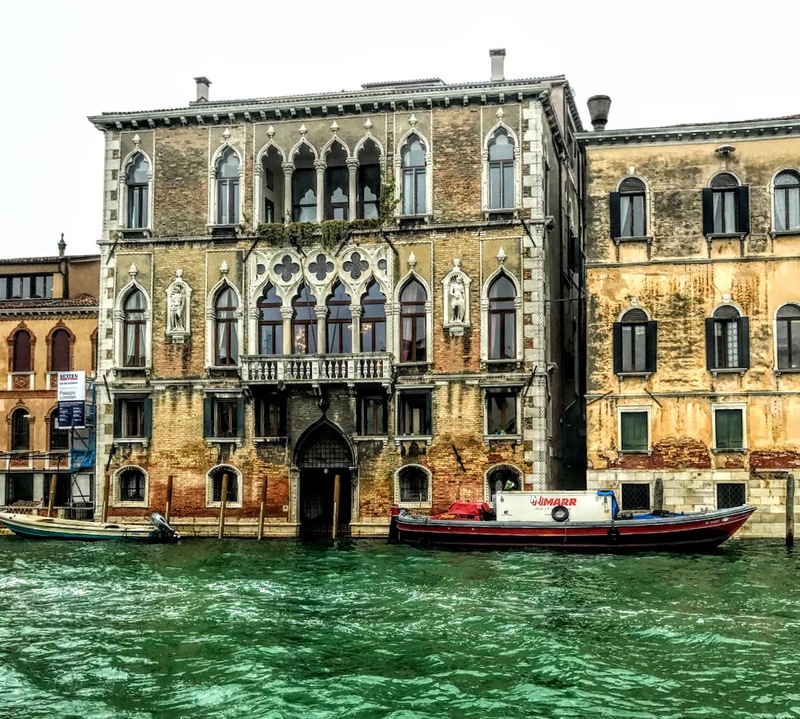 This richly embellished building, which looks like a single unit from the outside, was the venue of social gatherings and lavish parties when Venice was at the height of its political and economic prosperity. By the 17th century, ownership had passed to the Mocenigo and Bernardo families who continued to hold grand parties and social events. At the wedding of Giustiniana Mocenigo and Lorenzo Giustinian in 1629, Giulio Strozzi’s Proserpina Rapita was performed with music by Monteverdi. The two families still owned the building at the fall of the Venetian Republic in 1797. 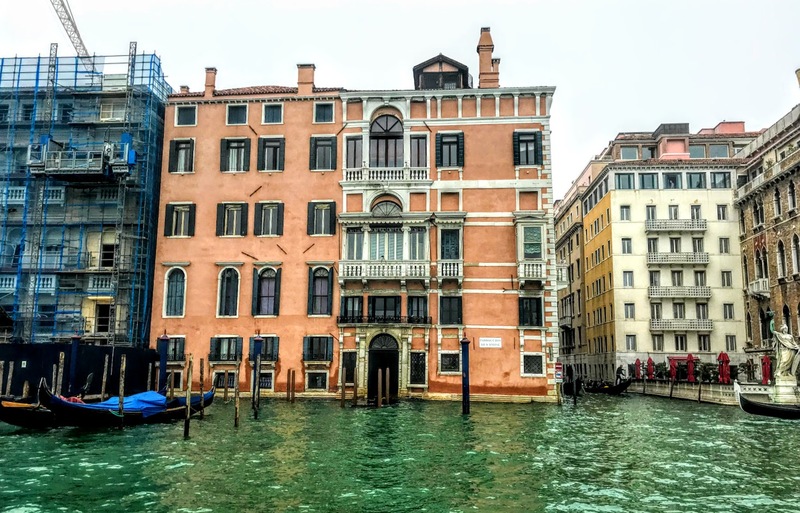 After the building suffered with the decline of Venice, Giuseppe Dal Niel of Friuli, known as ‘Danieli,’ rented the first floor of the building in 1822 for his own use and to house his guests. He quickly came to appreciate the potential of this palazzo as a centrally located meeting place, and he bought the entire building in 1824. 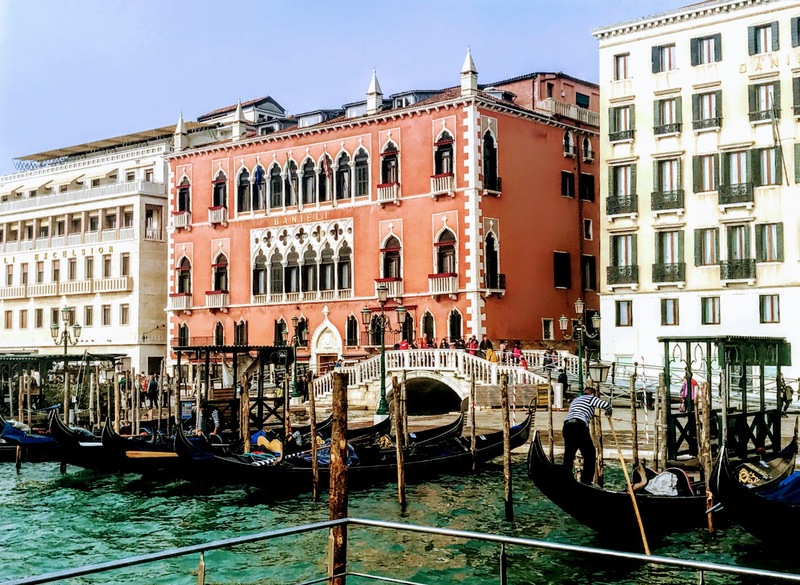 He lavishly restored it and converted it into a hotel, which he renamed ‘Danieli.’ The building has a pink façade with marble sills, white turrets and balconies with pointed arches. The main architectural feature is the four-storied courtyard which is covered with arches in the Byzantine Gothic style and provides for natural sunlight. The foyer leads to the open staircases with balustrades up to the furnished rooms and suites, and the stairway is painted gold. 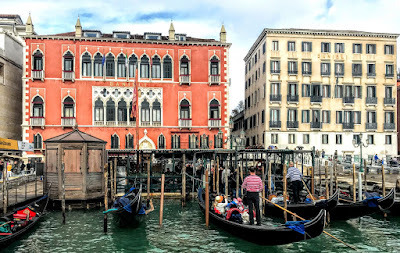 John Ruskin stayed in the Danieli when he was working on The Stones of Venice. Among the many notable artists, writers, musicians and other leading figures who stayed here were the German writer Goethe, the composer Richard Wagner, Charles Dickens, Lord Byron, Marcel Proust, Honoré de Balzac, Peggy Guggenheim, Leonard Bernstein, Benjamin Britten, Harrison Ford and Steven Spielberg. The hotel ownership changed hands in 1895, and it was modernised transforming it into the luxurious Hotel Royal Danieli. 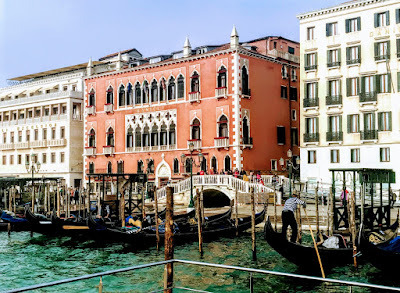 By end of the 19th century, a bridge was built, linking the hotel to a 19th-century adjoining palace now known as the Casa Nuova which became part of the hotel in 1906. 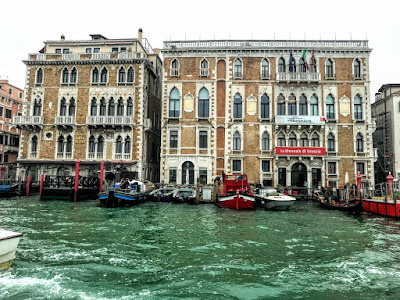 That year, the Danieli was acquired along with other hotels in Venice by a company owned by Count Giuseppe Volpi. Further changes were made to the façade by the architect Francesco Marsich. After World War II, the buildings between the Palazzo Dandolo and the Palazzo delle Prigioni were demolished, and the hotel was extended substantially in 1946-1948. 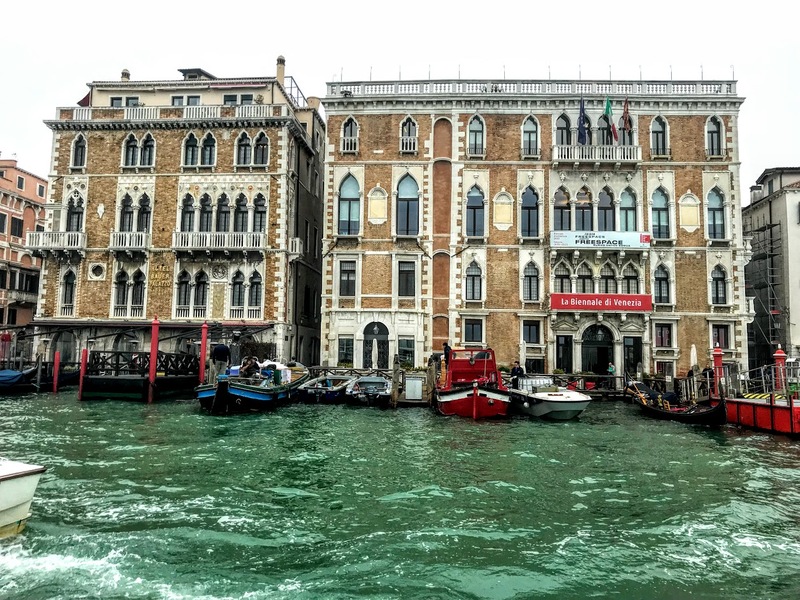 The Danielino (Little Daniele), a new building with a marble façade designed by Virgilio Vallot, became the last addition to the hotel. The Doge Suite has furniture dating from the 18th century and frescoes by the 18th-century Venetian artist Jacopo Guarana. The balcony features a Venetian mask shop, while the restaurant is ornamented with an entrance of high arches and chandeliers of Venetian glass. But one of the most popular rooms in the hotel is Number 10. It was here that Aurore Dudevant, better known as George Sand, stayed with her lover Alfred de Musset. Her biography describes the romantic details of their stay in this room. The restaurant, first known as the Caffè Brigiacco, developed among the shops that opened on the ground floor. It was run by two Greek brothers who had a taste for oriental dress, and later became known as the ‘Caffè Orientale.’ The rooftop terrace restaurant has views of Venice and the lagoon.